The time is nearly upon us my fellow chaos worshipers! Chaos Space Marines are up for a massive update this weekend and oh boy is it a good one! 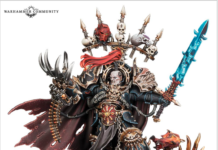 I have seen some of Vigilus Ablaze’s content and let me tell you, its one your going to want. 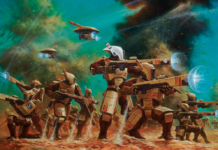 There is a TON of good stuff, and I am just talking about the updated renegade rules and specialist detachments. There is also a bunch more story stuff I wont spoil, but the thing is like 400 pages long. So lets talk about some of the info I have gleaned. One of the most surprising things I have puzzled to together is that Possessed have the potential to be one of the most BROKEN units in the game. Ten bucks says you went back and read that sentence again. Yes, you read that right, you can get them up to str 8 with plus one attack +2 to wound rolls and mortal wounds on unmodified 6’s. You get all this along with -3 to be hit and a 3++…. On a unit 20 strong. conversely you can still get them to a total of -3 to be hit with +3 to wound rolls, with 4s being damage 2. at the expense of only having a 4++ invuln. That is just what I was able to figure out, im sure that ahead there will be even more silly combos. 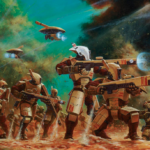 The biggest addition is the new renegades rules, giving us six new army traits to play around with, as well as warlord traits, a unique stratagem and a relic. I have made special note of the Red Corsairs, who seem to be a Chaos space marine matters army. 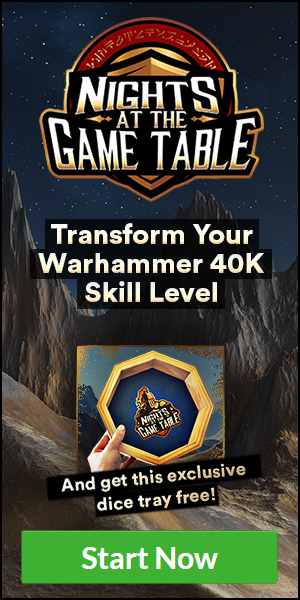 They really want you to use those new awesome Chaos Space Marine kits. They also have a stratagem that allows you to pull a “tide of traitors”, with a squad of CSM. 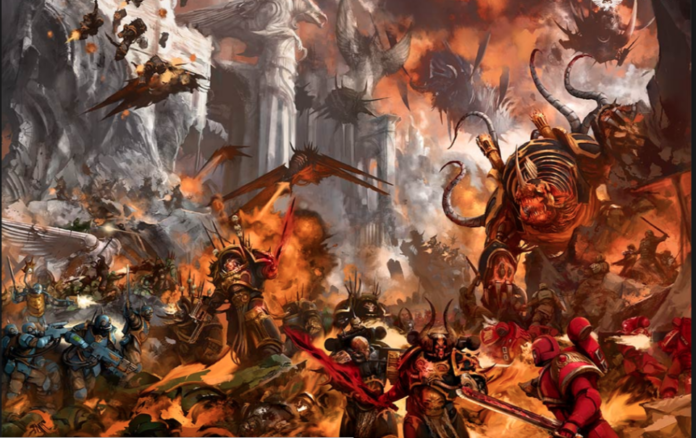 Does that mean Chaos Marines will replace cultists? For the most part, no, but if your playing Corsairs it seems like a no brainer. The Scourged are basically what happens when you mix Tau sept and Chaos Marines together and include a 1 hit re-roll. 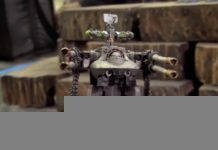 This would make them fantastic close support gunfighters, obliterators anyone? Seems like a good choice if your meta is GSC heavy. The Purge get to re-roll hits when targeting a unit thats already lost a wound. The trick here might actually be to bring psykers, do mortal wounds in the psychic phase and then enjoy your re-rolls for the rest of your turn. Their special stratagem lets them shoot at a unit thats locked in combat. Bring along some cultists, surround your target so they cant fall back and then shoot em up. Sure cultists may die but who cares about them right? Brazen Beasts get rending by any other name. If the Scourge learned how to overwatch from Tau then these guys learned to fight from GSC. On a wound roll of 6+ the wound is resolved at AP-4. Enjoy all your janky Genestealers in power armor. Lets not forget about the Flawless Host. The Flawless Hosts is another army that gets its bonus in close combat. For these guys you get an extra attack on a six to hit, this is in addition Death to the False Emperor. Over all it seem like a good time to me. 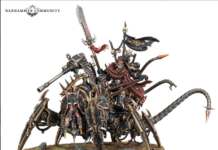 If you like running Daemon Princes this is what you want to run them as. They even have a warlord trait that has your 6s count as 3 extra attacks as opposed to just one. The Crimson Slaughter are an odd one to pin down. Whenever they destroy a unit you get to roll a dice, on a 5+ you get a CP. Seems good, nothing flashy, and their special Stratagem can put a -1 to hit modifier on anyone within 3in of a terrain feature of your choosing. 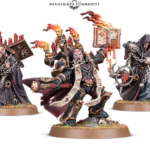 The Black Legion is getting quite the update, enough to border on being a codex all of their own. So, to start you get your very own Specialist detachment. It focuses on Terminators, and seems fun if a little niche. The big bonus is the warlord trait it comes with that gives a chaos lord Abaddon’s aura, which is sweet. The (in)famous boys in black are also being gifted with eight unique stratagems, and six relics. including 6 new warlord traits. Now you might be wondering what can you possibly do with all these new fancy traits and relics if you can really only pick one? Good news, the Council of Traitors stratagem lets you hand out warlord traits to two more characters. Thats just me skimming over stuff for the most part, there is quite a bit more juicy bits that I didn’t mention here. This is a must buy for Chaos Space Marine Players. 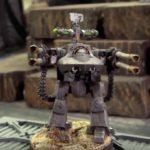 A big Thanks to Games workshop for the images used in our article.